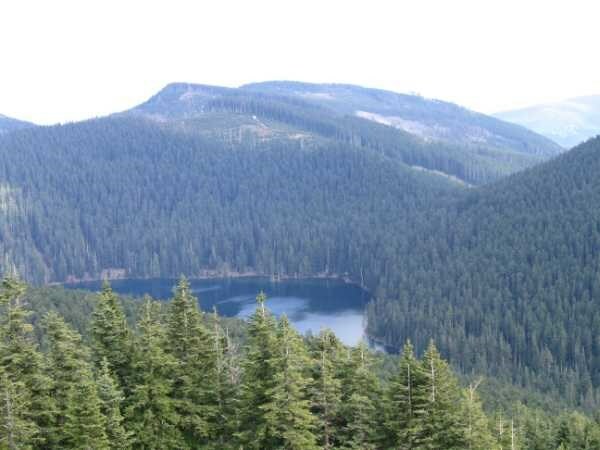 The view from Chinidere Mountain above Wahtum Lake is one of the best in the Gorge, extending from Mt. Jefferson past much of the Gorge and north to Mt. Rainer. This is a straightforward cache - just make your way to the top of Chinidere Mountain (elevation 4631 +/-). The payoff is the view. It's likely you'll lose the satellite signal while hiking through the woods, but the route follows a well defined trail. It does get steep in places, and there are a few stream crossings. Also note that due to the elevation, it's likely about 20 degrees cooler here than in Portland. The cache is a cylindrical plastic container, approximately 3.5"x8". From I-84 at Hood River go south though the upper part of town on 12th then 13th St. eventually taking Tucker road which turns into the Dee Hwy. At Dee, cross the railroad tracks passing by the abandoned sawmill, cross the river and turn left at Lost Lake Road. 4 ¾ miles up this road take the right fork marked "Wahtum Lake". After another 4.4 miles take the right fork again. At 14.5 miles from Dee, park in the trailhead parking lot to the right. (N 45 34.367 W 121 47.577 El 3932) The road is paved in it's entirety but narrow with turnouts past the second fork. Watch out for fallen rocks. The trail is entirely within the Columbia Wilderness so the usual rules apply. Trail park passes are required at the trailhead, and since there is no pass kiosk there, suggest you acquire the needed permit before you head up the mountain. 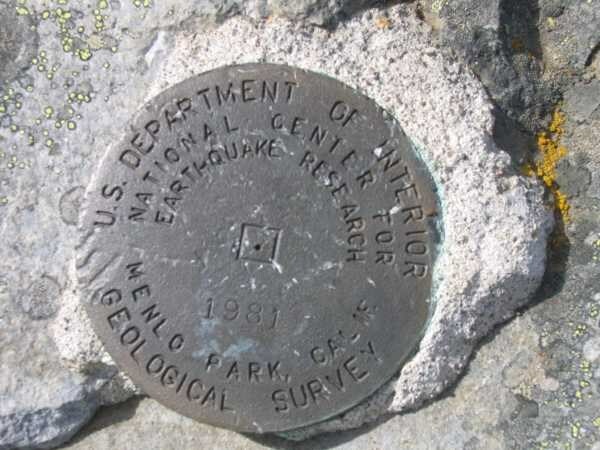 This cache is located a short distance off the Pacific Crest Trail. It's possible to walk here from the Cascade Locks if you want to spend the night. There are also several campsites along the shore of Wahtum Lake. Gur pnpur vf ybpngrq haqre fznyy ebpx bireunat ng gur fbhgu raq bs gur crnx. Vg znl uryc gb trg ba lbhe unaqf naq xarrf.